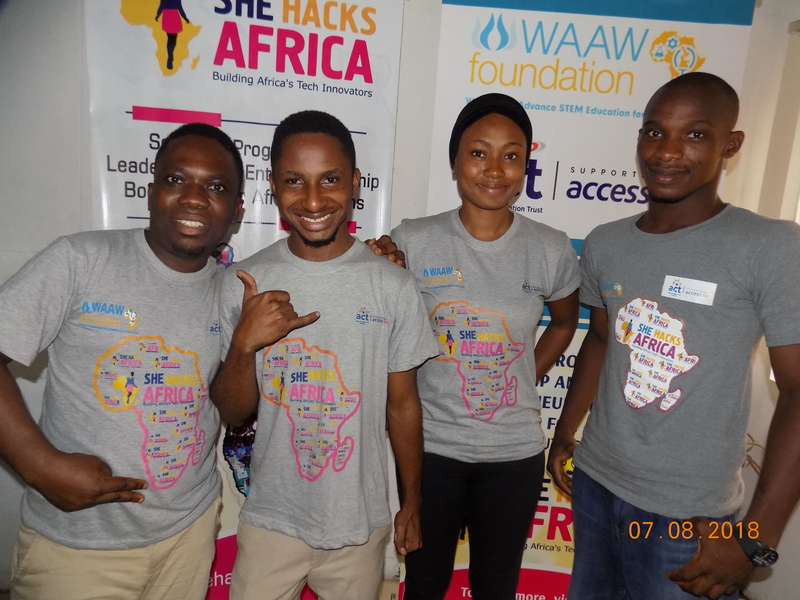 Our experience so far in this program, She Hacks Africa coding and Entrepreneurship Training has been amazingly fantastic and has enormously enriched us in a way words cannot depict but we will share some of the amazing enlightens. First and foremost, we learnt that one does not have to be an expatriate to critically think about problems and create solutions for it. For some of us who are newbies to coding,this 1week has given us so many reasons why we would want to pursue careers in Tech. At first it seemed like gibberish but thanks to our tutors the transition has been seamless. Sections/Lessons taken on entrepreneurship has enlightened us on how to use technology to solve problems affecting our immediate society and Nigeria at large and also generate income, and create employment opportunities for people. We have been able to understand how successful entrepreneurs think and carry out their plans and designs. Working as an individual has always been a routine for most of us, but now working in a group of six persons has changed our approach towards other people’s view to approaching a particular problem to that fact we have to deliberate on issues and opinions before we execute our decision. So far,it has been a wonderful and enlightening experience for us all.